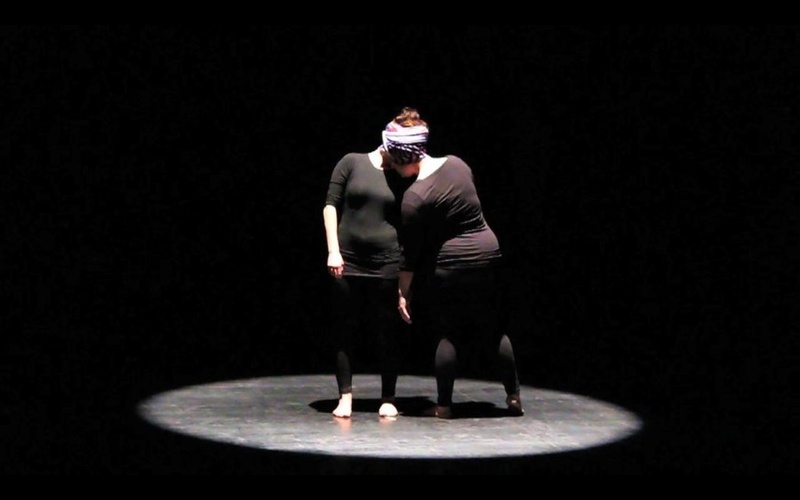 Recently we began a new project titled a common chorion, a performance exploring how the boundaries of the body typically determine individuality and the possibilities for movement that arise in a conjoined body, inspired by the lives of conjoined twins. Unlike typical monozygotic (identical) twins which begin life as a single fertilized egg and shortly thereafter split into two, conjoined twins are rare variants resulting from an incomplete division of the embryonic disk after the 13th day of conception. Conjoined twins share a single common chorion, a Greek work meaning skin, which is the outermost part of the two fetal membranes. It is believed that conjoined twins are often able to see out of each other’s eyes and read each other’s thoughts. In many cases, there is no clear distinction where one person/body ends and the other begins. Although today many conjoined twins lead ordinary lives, throughout history many were put on display or became performers, often in a traveling circuses. The most famous pair, Chang and Eng born in Siam, traveled with P.T. Barnum’s circus in the late 1800s billed as the “Siamese Twins” and became so well known that their act is synonymous with the phenomenon. Other twins such as the Hilton Sisters were one of the highest paying sideshow acts in history and performed on stage with the likes of Bob Hope and Harry Houdini. Despite sharing skin, having fused internal organs and often depending on the other for basic movements, many conjoined twins achieve separate marriages and children, separate careers and refer to themselves as individuals. This is fascinating to us as the idea of individuality is so important to the “normal” contemporary experience of the world. However, at the same time we notice that people are constantly searching for ways to be more connected, especially with the advents of Skype, twitter and facebook. Through these forms of digital media people are constantly sharing their thoughts, movements, images and experiences with others online using these methods as avatars for actual physical contact. Part of our interest in examining conjoined twins is the opportunity to experience intense physical connection to another person while trying to maintain a strong sense of ourselves. As dancers and performers, our identity is often intrinsically tied to the individual body and our control over it. We plan to investigate, through our residency and subsequent performance, how those who define their identity based on the boundaries of their own skin can begin to comprehend the experience of conjoined twins. 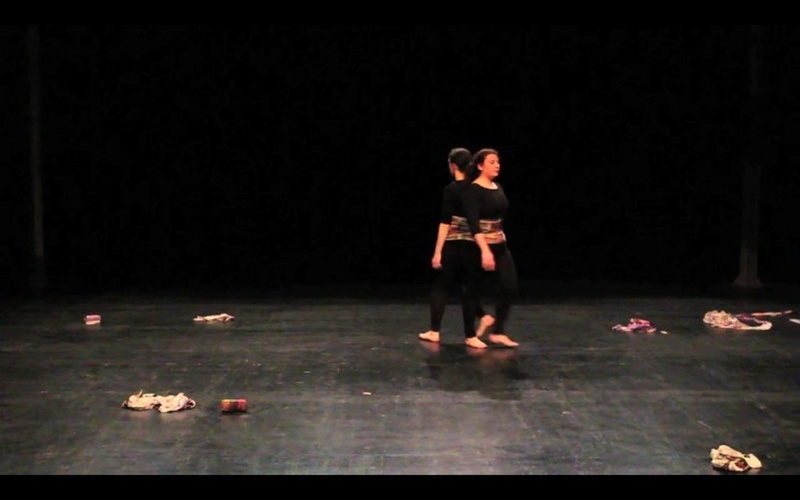 We are excited to see how this residency re-shapes the relationships we have to our own body and movement after exploring the subtle communication, limits and possibilities that develop while sharing space with another being over a period of time.